Android is transforming the logistics workplace from the warehouse floor to the drivers fleet on road, and Android Enterprise platform allows the enterprises to have the very latest in mobile security and management policies to control the fleet of devices. In order to mobilize its workforce, work processes, improve productivity and provide flexibility, Hopi Holding decided to use Android smartphones in its supply chain operations and selected 42Gears for applying modern Android's management methods to enhance security and simplify deployment for IT pros. Hopi Holding, a family-owned logistics company, was established in 1992 by Mr. Frantisek Piskanin. Their portfolio of services includes logistics, transportation of goods, co-packing and warehouse outsourcing. In 26 years of business, Hopi Holding has expanded its market in several regions such as Slovak, Hungary, Poland and Romania. They are operating in the logistics market for almost 20 years and has a fleet of over 550 vehicles. Hopi Holding introduced Android mobile devices in its supply chain with an objective to offer flexibility to drivers, enhance visibility of goods and ultimately provide more value to its customers. These smartphones are used by drivers for scanning barcodes on the packages and while delivering goods, use map application for navigating the route or to make calls to supervisors. One of the key requirements of Hopi Holding was to provide a flexible management solution which creates a rich ecosystem of apps for work, enabling the delivery personnel to be productive from anywhere. 1. Manage and secure their smartphones for easy tracking. 2. 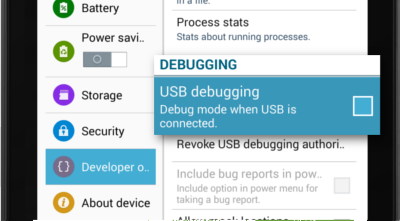 Easily configure the devices, just by scanning a QR code. 3. 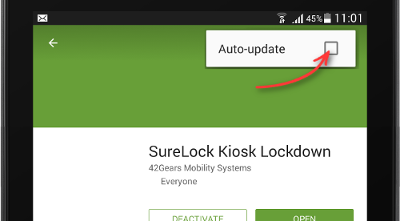 Partially lockdown smartphones and give privilege to the drivers to access or install any app of their choice from the admin’ curated managed version of Google Play (Play for Work), but prevent uninstallation of any business app. 4. Allow drivers to make calls from their personal contact list. 5. Allow the devices to connect to secure Wi-Fi setups only. Hopi Holding approached 42Gears for a solution which would allow quick deployment for Android devices, provide secured and tailored restriction capabilities for drivers when they use data and apps for work purposes. 42Gears, being an Android EMM partner, offered a customized solution consisting of SureMDM and Android Enterprise- AE (previously known as Android For Work). Quick integration: To enroll devices easily in few steps. Silent installation of apps: To install apps in bulk on the managed devices, without any user action. Configuration: To enforce corporate policies on the work applications. 1. Hopi Holding enhanced overseeing of the mobile devices. It can now efficiently manage, secure and track all mobile devices in the field. 2. By using 42Gears EMM, Hopi Holding can easily provision devices in large volumes without any manual setup. A few taps to connect to Wi-Fi and a quick QR code scan makes the new devices ready for use right fresh out of the box. 3. Drivers have the privilege to access and download the right version of useful apps from the managed Play Store and not any unsecured malicious apps. 4. By selective Wi-Fi whitelisting, devices can no more connect to unsecured open networks. By deploying apps through Google Play for Work, users are restricted to install apps from unknown sources. Moreover, Play for Work allows businesses to securely deploy both business apps as well as public apps. When enabled by an EMM platform of choice, Android Enterprise supports multiple business scenarios. In this case, it supported Dedicated Devices (Corporate-Owned Single-Use or COSU )devices. When enabled by an EMM platform of choice, Android Enterprise supports multiple business scenarios. In this case, it supports Dedicated Devices (formerly called Corporate-Owned Single-Use or COSU). When enabled by an EMM platform of choice, Android Enterprise supports multiple business scenarios. In this case, it supports Corporate Owned Single Use or COSU devices. 1. The overall time taken to deploy devices and make them enterprise ready has reduced from several hours to just 5 mins. 2. Hopi Holding gained 25% efficiency in delivery operations. 3. Hopi Holding improved 380% on ROI. “Previously when we had to manage only few mobile devices, it was possible to configure them manually. But now that we have a huge fleet of mobile workforce to manage, we needed a technically sophisticated and easy-to-use EMM tool. With 42Gears EMM, we save a lot of time on device configuration. We are very impressed with the quick enrolment solution provided by them.